November 10, 2013 marked the 31st Singapore River Regatta. The main event was, of course, the Dragon Boat Competition, which was joined by 100 teams who competed in 12 categories. The competition seeks to promote friendship and strengthen ties in the community. Furthermore, the Competition aims to enhance the athletic abilities of the participants and teach them how to work together as a team. The standard number of crew members in modern dragon boating is 22. 20 crew members form the paddling team which faces to the bow of the boat. There is one drummer facing the paddling team and one steerer at the rear end of the boat facing the paddlers. 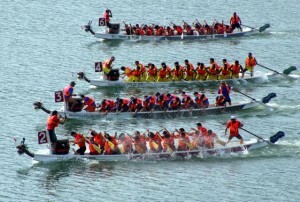 Depending on the size of each dragon boat, the number of crew members increases or decreases. There are six parts of paddling to include recovery, exit, pull, catch, extension/reach and rotation/twist. If these parts are executed properly, the boat will move smoothly; if not, then the boat will be slow and weighty. Dragon boating is not only a competition here in Singapore. Dragon boating is both an international competition, with participants coming from different countries all over the world. 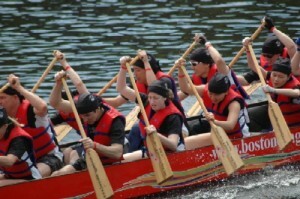 Dragon boating is the fastest growing water sports in the world. If you’re interested about joining this sport, there are various associations and teams here in Singapore that regularly train for it.